Andronis Boutique Hotel is a brand new hotel located in the centre of Oia, one of the most traditional villages in Santorini island. Built on the cliff edge of Oia Village, it has a panoramic Caldera View. 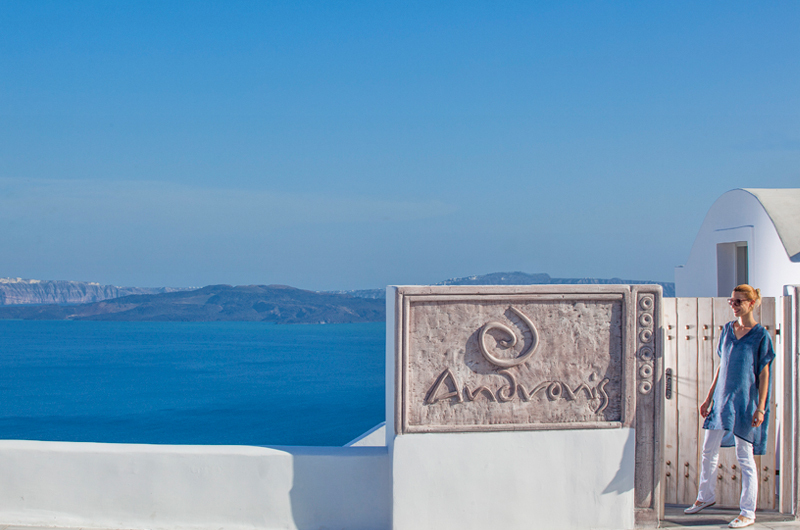 Andronis Boutique Hotel is the perfect choice for your honeymoon or just for a relaxing getaway. Its architecture represents the traditional Cycladic style, which combine charming range of luxury. Classic Suite: Situated in a privileged location, this masterpiece captivates the essence of the Santorinian spirit. Combining aesthetic pleasures with amazing views of the Aegean Sea, this suite is the signature of modern elegance and luxurious comfort. It has a private balcony overlooking the Caldera and Jacuzzi. Junior Suite: Apart from its unique design, it consists of a spacious bedroom with queen size beds, a stylish sitting area, private balcony with astonishing views and Jacuzzi. Deluxe Suite: Designed exclusively for unforgettable moments, this spacious suite has an open plan bedroom with an irresistible Jacuzzi. Featuring a king sized bed, the softest pillows and quality amenities; it offers nothing less than absolute luxury and indulgence. -Due to the particular construction of the hotel (on the cliff) children under the age of 13 are not accepted for safety reasons. -Wine and fruits are free of charge upon arrival in all rooms.